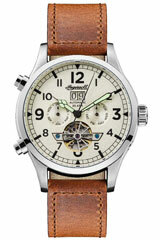 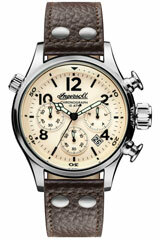 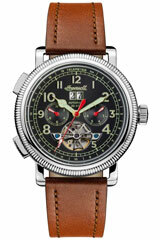 Not only is Ingersoll Watches the name of a brand, they are part of American History. 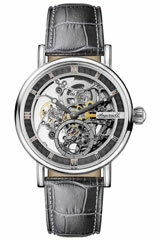 As early as 1892, Robert and Charles Ingersoll introduced the automatic assembly line for the production of their watches. 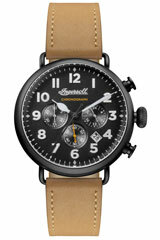 With the help and support of Henry Ford, the Ingersoll brothers managed to lower the producing costs significantly and were thus able to offer their watches at the competitive price of an average worker's daily wage. 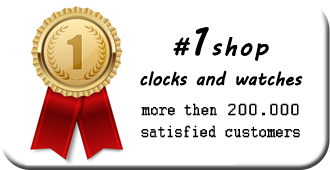 They sold millions of their popular 'Dollar-Watches'. 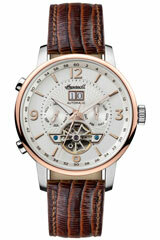 Still today, Ingersoll watches stand for high quality and extraordinary design at attractive prices. 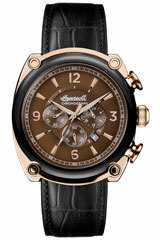 Famous owners of Ingersoll watches were, among others, James Dean, Thomas Edison, Mahatma Gandhi and Theodor Roosevelt. 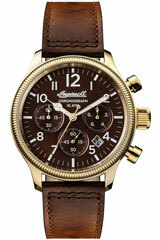 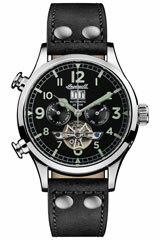 Ingersoll watches are produced since in 1892. 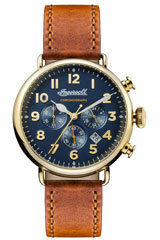 At that time, the brothers Robert and Charles Ingersoll founded one of the oldest and best-known American watch manufacturers. 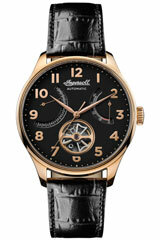 Back then, in collaboration with Henry Ford they led the automatic production of Ingersoll watches. 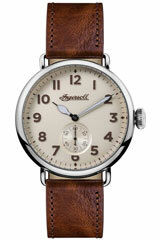 Ingersoll was known primarily because of the Dollar-Watch, which was named after her price, a dollar which corresponded with an average daily wage at those times. 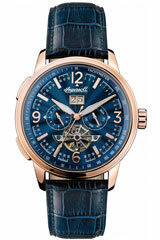 The Dollar-Watch has sold millions of copies and made Ingersoll almost immediately to what Ingersoll is today. Namely, a world-renowned watch brand, which stands for precision and quality. 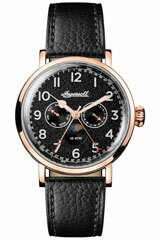 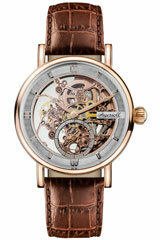 Ingersoll watches always transformed technological milestones into the development of pocket watches and wristwatches. 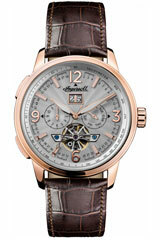 According to these quality standards and further continuing the tradition, Ingersoll is still producing high-quality mechanical watches, which are representing inimitable precision. 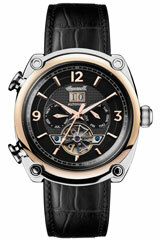 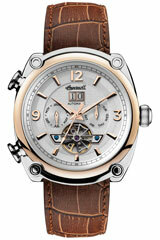 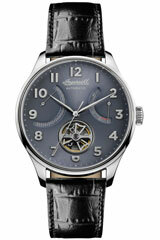 As a special highlight of many mechanical watches Ingersoll offers an unobstructed view onto the movement. 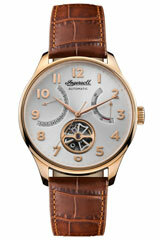 This is either possible through a window in the dial, or by a housing bottom made of glass. 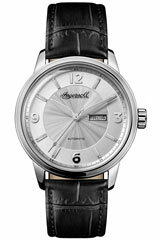 Even though Ingersoll always stays true to his style and its classic design of watches remains, the modern trends do not go past the Ingersoll watches. 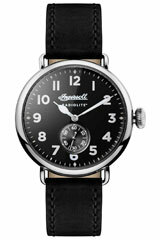 The Ingersoll Bison watches embody the spirit of today and feature a striking look. 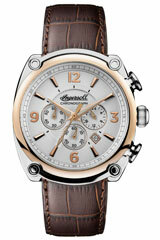 The Ingersoll Bison collection combines large housing with rough leather straps or metal bracelets as eye-catcher. 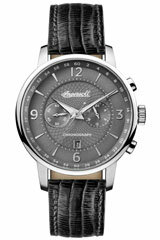 This results in expressive and dominant models of watches that convey the wild and exciting aspect of the American lifestyle. 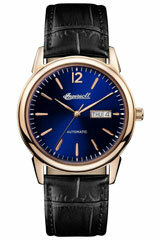 The ladies models by Ingersoll offer an exceptional design. For although Ingersoll is mainly bought by men today, there are also some Ingersoll Women's Watches that score in particular through playful details and a targeted use of color. 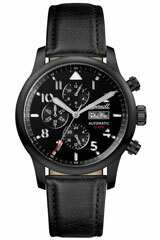 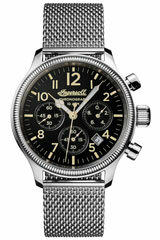 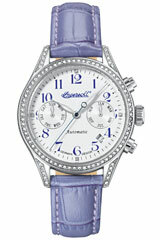 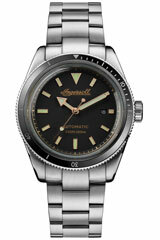 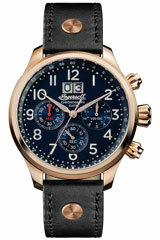 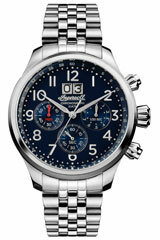 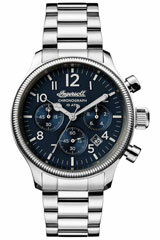 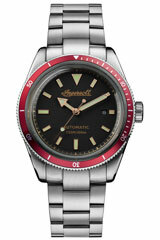 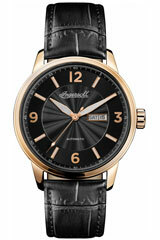 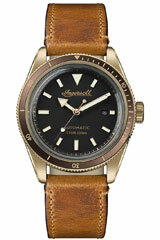 Thus Ingersoll offers a wide range of wrist watches. 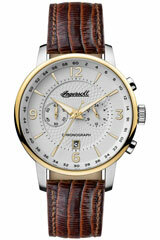 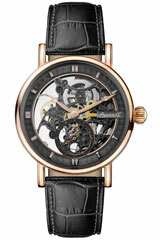 But all the Ingersoll watches have one thing in common, namely quality materials and exceptional precise movements. 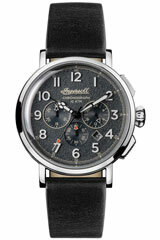 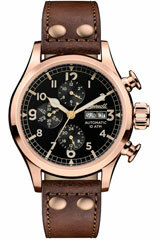 Investing in an Ingersoll watch is worthwhile in any case.